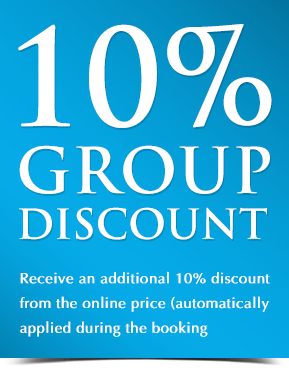 MAKE SYDNEY’S PREMIER CRUISING COMPANY YOUR FIRST CHOICE! Australian Cruise Group (ACG) is Sydney’s premier cruise company and largest dining cruise operator on Sydney Harbour. ACG has earned a stellar reputation accrued over 30 years of experience in the cruising industry. We own, operate and manage 5 luxury vessels on Sydney Harbour under three brands: Magistic Cruises, Sydney Showboats and Clearview Cruises. We offer multiple sightseeing, lunch, dinner and event cruises on Sydney Harbour that cater to local, national and international guests looking for unique Sydney experiences. Our products are unique in concept and inclusions, making them synonymous with must-do experiences in Sydney. Our Sydney Harbour event cruises include Australia Day cruises, Valentine’s Day cruises, Vivid Sydney cruises, Christmas Day cruises, Boxing Day Cruises & the world-renowned New Year’s Eve cruises. The secret of our success lies in sticking to our core values, offering genuine Australian warmth of service and blending in a little creativity & refinement into the cruises that we offer! Our commitment to deliver exceptional cruise experiences to all our guests motivates us to exceed customer expectations. Magistic Two is a luxury catamaran, built to the highest nautical standards by leading Australian architects in Fremantle, Western Australia. This sleek catamaran has three large outer decks, a private VIP Top Deck, an air-conditioned dining deck lined with panoramic windows, contemporary interior décor and all modern amenities to facilitate comfortable cruising. Launched in 2001, Magistic Cruises revolutionised the concept of waterfront dining on Sydney Harbour. We now offer economically priced sightseeing, lunch and dinner cruises on Sydney Harbour with spectacular views of Sydney’s iconic attractions. Quality and comfort are the hallmarks of Magistic Cruises, and customer satisfaction is guaranteed at every touch point, making Magistic Two Sydney’s most popular multi-purpose catamaran. In early 2017, the Magistic Two was given a facelift with new refurbished interiors, setting the stage for many more years of successful cruising. Sydney Showboats has recreated the charm of authentic paddlewheelers that used to ply the waters of Sydney Harbour during the 1800s. Managed by the Australian Cruise Group, these Showboats have been cruising Sydney Harbour since 1987, delivering unforgettable experiences to over 6 million guests. 2017 being a milestone year, Sydney Showboats has celebrated 30 years of spectacular cruising! The Sydney Showboats I & II were purpose-built with a theatre-style layout and all the trappings of stage, light and sound facilities to host live cabaret shows and luxury dinner cruises. With its recent multi-million dollar makeover, the Showboats now sport stylish interiors with dramatic lines, backlit marble and plush fabric that is enhanced by warm lighting. The Sydney Showboat dinner cruise experience promises a night full of spectacular sights, great food and entertainment that transcends all expectations! Glamorous showgirls, in glittering beaded outfits, usher guests into this New Orleans-style paddlewheeler and transport them into a sensational world of glitz and glamour – a unique must-do experience on Sydney Harbour! With the launch of our premium glass boat brand Clearview Cruises in November 2016, we have achieved the impossible, yet again. Our premium cruises have raised the bar and set an all new benchmark with a unique dining concept, on a glass boat cruise that offers 360° views of Sydney Harbour! Blue Room and Clearview comprise the ACG glass boat fleet – both luxury vessels that lavish its guests with unobstructed views of Sydney Harbour and a restaurant-style gourmet dining experience, complete with canapés and drinks on the Sky Deck. These cruises are not open to large tour groups and guests below the age of 18, thus maintaining a premium ambience in keeping with the venue. Quite the jewel in our crown, Clearview Cruises offers exclusive Sydney Harbour venues to host weddings, private & corporate events, cocktail networking parties and the like! WITH US ‘CUSTOMER IS KING’! We truly believe that there is no second chance to make a good first impression. Our crew is trained to deliver service with a smile at every juncture and is known for their legendary ‘can do’ attitude. We leave no stone unturned to ensure exceptional service on all our cruises to enhance the cruising experience of our guests. Each of our vessels have a different set of menus, each unique to its brand. All dishes served on our cruises, be it lunch, dinner or special events, are prepared with the freshest of ingredients by our chefs on board. With individual reserved tables and full waiter service, our guests are a guaranteed a relaxed restaurant-quality dining experience set against the changing backdrop of Sydney Harbour! Our cruising restaurants offer a lifestyle experience that can be availed at an all-inclusive fair price, ensuring that there are no hidden costs. Our cruising restaurants conform to a safety management program that meets and exceeds the NSW Maritime Authority's guidelines for safety management systems on board commercial vessels. Our cruising restaurants maintain a high level of passenger indemnity insurance with a leading specialist insurer. Our cruising restaurants have earned repute for their impeccable quality and standards making them the preferred choice of globe-trotting celebrities. We have been perfect hosts to heads of state, dignitaries, celebrities and sports personalities. Our impressive guest list includes luminaries such as Robin Williams, Adam Sandler, Drew Barrymore, Janet Jackson and Christina Aguilera. We have also hosted prominent sports personalities that include the likes of Steve Waugh, the Indian Cricket Team, Sydney Swans, Brian Lara and Dwight Yorke. We couldn’t have been more proud when our vessels were chosen to host the official lunch cruise for 250 of the most powerful business minds on the planet – the 2005 Forbes Global CEO Conference. More recently, we have hosted singer Bruno Mars as well as political leaders such as Vladimir Putin and Silvio Berlusconi.